Spring is so close, I can almost feel it. I find myself checking every garden I pass, looking for those pale green tips of new life to poke through and greet the world. While spring isn’t here quite yet, I still got my flora fix by visiting a favorite nursery – House by the Side of the Road. Even in the dead of winter, a trip to the greenhouse can give you that much-needed reminder that warmer days are on the horizon. 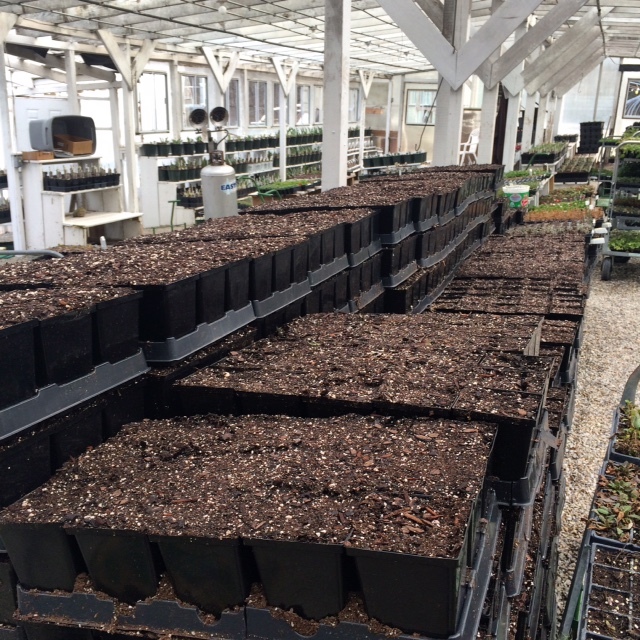 It was so exciting to see trays and trays of dirt ready to house new life. 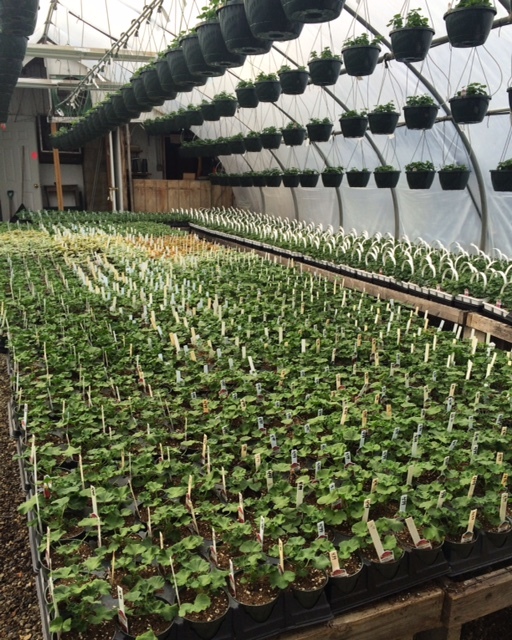 Even the geranium room was well underway with shoots and leaves. 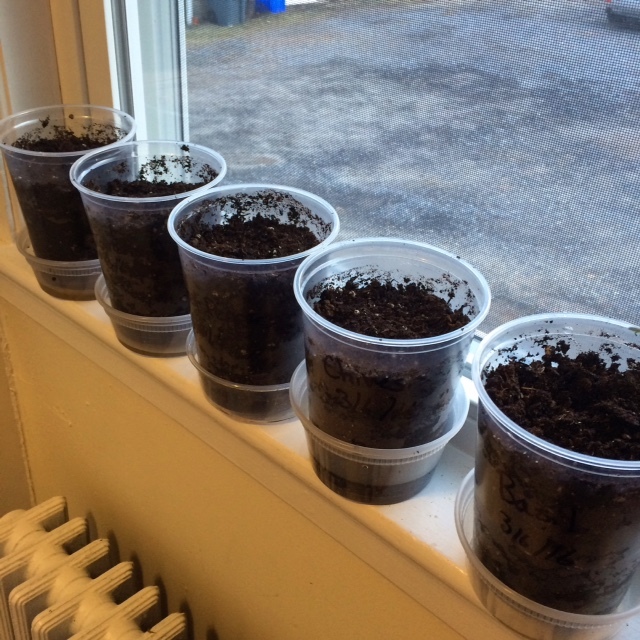 I was so inspired by my visit, that I went home and started some seedlings of my own. It felt wonderful – almost therapeutic – to get my hands dirty, and I was very excited to try out the compost I’ve been generating all winter in my homemade-kitchen-worm-composting-system (Sorry, that’s a post for another day!). I think half the fun of growing a garden is planning and dreaming about it all winter long. I love the pictures! Years ago I worked at a small greenhouse. This brought back so many good memories. Thank you! And I cannot wait to get to working in that dirt.